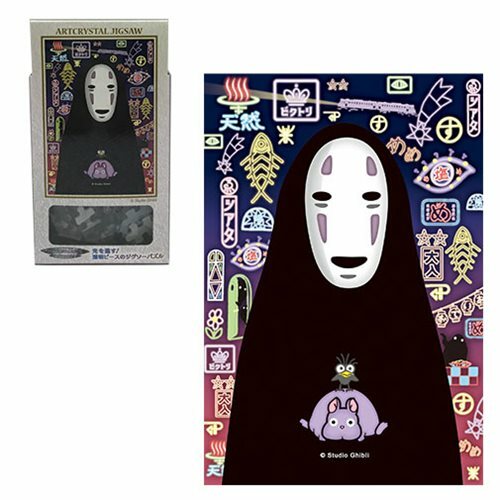 From the hit Studio Ghibli film Spirited Away comes the Spirited Away No Face and Mysterious Street Lights Artcrystal Puzzle. This No Face jigsaw puzzle is beautifully transparent to let light through. The puzzle is perfect to decorate your room by your window side since it lets the lights in like stained glasses. The puzzle has 126 pieces. When assembled measures about 5 4/5-inches tall x 4-inches wide.